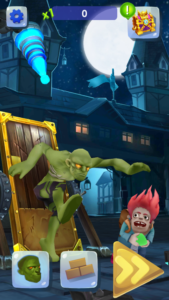 Zombie Run 2 Is A Sequel To The Most Downloaded Zombie Endless Runner Game. This Game Is Quite Similar To Temple Run. You Can Say It A Copy Of Temple Run With Replacement Of Characters, And Features. However, It’s Brilliant In Its Side. This Zombie Runner Game Comes With Various Obstacles Which Makes It Very Challenging. You Play As A Dead Zombie And Chasing Igor. Collect Coins, Boosters, Gems, And Avoid Obstacles. 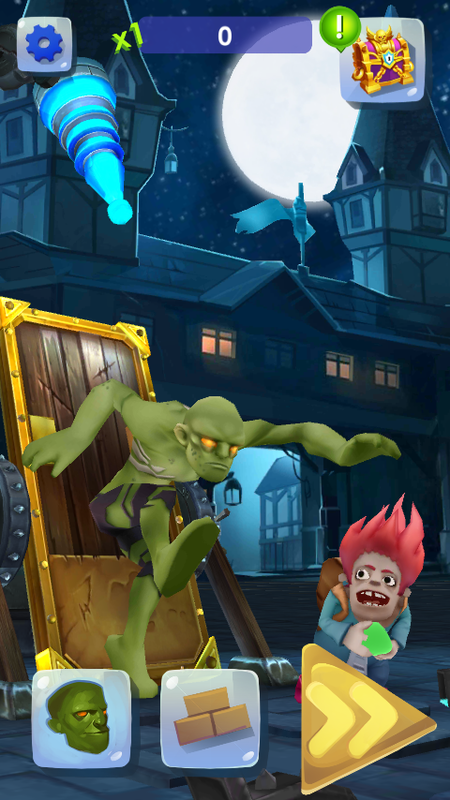 You Can Even Catch Igor If You Turn Yourself Into A Powerful Monster. There Is A Transformation Feature Available Which Lets You Transform Into Many Types Of Monsters Like Wolf. You Just Have To Tap Tap And Tap On That Button – After It, No Obstacles Can Stop You Until You Come Back In Real Avatar. Controls Of This Game Are Also Great – Tilt Feature Lets You Play Game Without Touch – But To Change Path – You Have To Use Fingers. One Thing That Is Great About This Game Is Obstacles – You Will Face Several Obstacles In Your Endless Journey. Dozen Of Zombie Characters Are Available To Choose From. Locations – You Surf Through Old Village, Inside Castle, Hills, And Much More. Mutation – You Can Transform Yourself Into Werewolf, Alien Dog, Mr. Hale, And Mutant X. Initially, Only Mutant X Is Unlocked. You Can Play This Game Offline Also – No Internet Is Required. Gameplay Is OK-4/5 – Graphics – OK -4/5, Controls – 5/5. Mode – Offline, Ads – No, Price – Free(In-App Purchase), Type – Endless Runner, Size – 81 MB. Download – Here(Google Play Store). If You Have Any Suggestions Or Have A New Game, Then Please Submit Here. For More Game Updates – Like Us On Facebook – MrGuider, Follow Us On Twitter – @techhuntr Or Subscribe Us Via Email.